Bracewell & Patterson LLP was established in Houston, Texas in 1945. With more than half a century of experience in law, the firm has grown to become one of the largest law firms in the United States with a strong international presence. Over the years, Bracewell & Patterson LLP has represented a number of international, national, and local businesses, municipalities, non-profit organizations, and individuals. Today, more than 470 lawyers around the world serve several Fortune 500 companies, and global giants in the Energy and Financial sectors. Bracewell & Patterson LLP has recently seen a change in managing partners, and is now referred to as Bracewell & Giuliani. With offices in Connecticut, New York, Texas, Washington, D.C., and Seattle and international branches in Dubai and London, the firm has a strategic advantage when it comes to representing clients anywhere in the country, or around the world. The highly qualified attorneys at Bracewell & Giuliani bring years of experience in litigation in a number of industries, including Energy, Technology and Financial Services. The firm’s practice areas include Antitrust Litigation, Broker-Dealer and Market Regulation, Climate Change and Environmental Stategies, Education Issues, and International Law. Their practice in the Energy and Technology sector on matters such as Regulation and Compliance, Commodity Trading and Marketing, Intellectual Property, Telecommunications and Information Technology has made them the preferred choice for companies dealing with legal issues in these areas. Bracewell & Giuliani also provides legal counsel in Corporate and Securities, Corporate Governance, Mergers & Acquisitions, Finance and Investments, and Financial Restructuring. Attorneys at the firm also specialize in Government and Administrative Law, Federal and Political Law, Government Relations, Native American Law, Real Estate, Taxation and White Collar Defense. All in all, the diverse number of practice areas combined with a strong national and international presence, and the unparalleled experience attorneys possess makes Bracewell & Giuliani the Go-To firm for all legal matters. Q:While going through the Bracewell & Patterson LLP profile I noticed that one area they excel in is White Collar Defense, Internal Investigations and Regulatory Enforcement-what exactly do these comprise of? A:Yes, the lawyers at Bracewell & Patterson deal with cases concerning White Collar Defense, Internal Investigations and Regulatory Enforcement quite often. What this practice means is to be able to conduct internal investigations for clients and companies into their audit or special board committees, in order to defend clients in the facing criminal, civil or regulatory investigation. This helps in determining if violations of laws or regulations were committed and if they were, to reduce the likelihood of prosecution. Q:Can you tell me about a few of the rankings and awards won by Bracewell & Patterson Houston Texas law firm for its legal services?  A:Bracewell & Patterson Houston Texas law firm provides legal services in a multiple practice areas. Over the years it has achieved recognition for its superior quality and innovative solutions. It is recognized by Chambers USA in 24 practice areas, and has over 62 attorneys in the top ranking by US news. Each year numerous employees are awarded for their high performance level and success rates. Q:I need to know a bit about the initial stages of Bracewell Patterson LLP and also the cities they are located in? A:Bracewell & Patterson LLP started out from Houston, Texas in 1945. After almost half a century of practicing law successfully, today the firm is one of the largest law firms in the United States with an ever expanding international presence. Over the years, a number of note worthy international, national, local clients and non-profit organizations have added credibility to the professional reputation of Bracewell & Patterson LLP. Today, almost 470 lawyers around the world serve numerous Fortune 500 companies. Their offices can be found in District of Columbia, New York and Texas.